MOSCOW, September 26. /TASS/. The deployment of Russian S-300 missile systems in Syria will make Israel think twice before striking targets in the country, Syria's Deputy Foreign Minister Faisal Mekdad has told China’s Xinhua news agency. "Israel which got used to carrying out many attacks under different pretexts would have to recalculate and reconsider before attacking again," Mekdad was quoted as saying. The Il-20 electronic reconnaissance plane was shot down on the evening of September 17 over the Mediterranean Sea when it was returning to the Hmeymim Airbase. The Russian Defense Ministry reported that it was downed by a missile from Syria’s S-200 air defense missile system when it was carrying out an attack on four Israeli F-16 planes that had attacked facilities in the Latakia Governorate. A search operation is being carried out on the Il-20 crash site, 27 km west of the Baniyas port, to recover from water the bodies of 15 deceased crew members and the plane wreckage. The Russian Defense Ministry pinned the blame for the attack on the Israeli Air Force. The Israeli military warned about strikes on Syrian facilities just a minute before and wrongly specified the direction of the operation of the F-16 fighters, which made impossible to move the Il-20 away from the blow of the Syrian air defense systems in time and led to the death of the Russian servicemen. This Russia’s position is supported by objective data of the radars of the S-400 complex and the footage of negotiations with the Israeli side. On September 24, Russian Defense Minister Army Gen. Sergei Shoigu announced that the death of the Il-20 crew in Syria due to Israeli military’s actions prompted Moscow to take additional security measures. 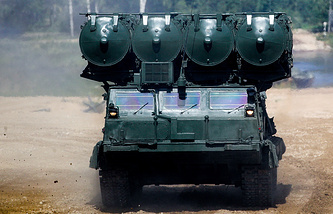 To that end Moscow would deploy an S-300 air defense system in Syria within the next two weeks, while the Syrian army’s air defense command posts will be equipped with Russian automatic systems to distinguish Russian aircraft. Besides, Russian radioelectronic warfare equipment will be used against aircraft that attack Syrian facilities.